A rare gem of a Jacobean country house, Chastleton House was built between 1607 and 1612 by a prosperous wool merchant as an impressive statement of wealth and power. Owned by the same increasingly impoverished family until 1991, the house remained essentially unchanged for nearly 400 years as the interiors and contents gradually succumbed to the ravages of time. With virtually no intrusion from the 21st century, this fascinating place exudes an informal and timeless atmosphere in a gloriously unspoilt setting. There is no shop or tea-room, so you can truly believe you have stepped back in time. 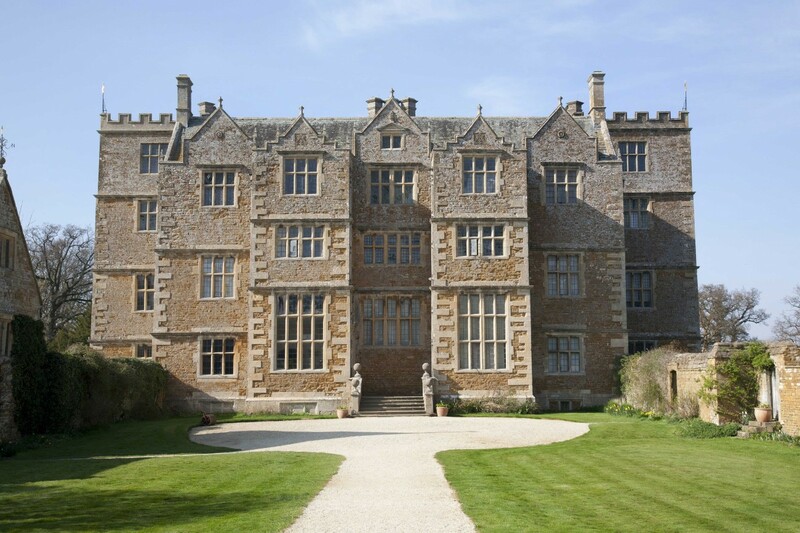 Chastleton House is different from other houses of its type in several respects. It has never had a park with a long, landscaped approach such as many other houses of its era. Rather it was built within an existing settlement, Chastleton village, which provided many of the services for the house which would otherwise have been attached, such as a laundry, a fishpond and a bakehouse. Secondly, until its acquisition by the Trust in 1991, it was owned by the same family for nearly 400 years. Its treatment by the Trust was similarly unusual, with a policy of conservation rather than restoration, enabling visitors to see the house largely as it was when acquired.As a result of the Trust’s approach, a large number of the rooms in the house are open to the public. Of particular note is the Long Gallery, with its barrel vaulted ceiling. No other gallery of such a length 72 feet (22 m) and date survive. Like much of the house, the Long Gallery ceiling has been subject to damage. The neglect of the roof for almost two centuries led to the failing of part of the plaster ceiling in the early 1800s, but it was not repaired until 1904-05, when two local men were engaged to make good the losses. Also of interest is the impressive Great Chamber. Designed for the entertainment of the most important guests and for the playing of music, the design scheme has its roots in Renaissance Italy and is the most impressive in the house. The setting out of the panelling shows some inspiration from the classical, as do the painted roundels around the frieze, depicting the twelve prophets of the Old Testament and the twelve Sybils or Prophetesses of Antiquity. Also in the Great Chamber are a set of JacobiteFiat glasses engraved with the Jacobite emblems of roses, oakleaves, and a compass rose, which betray the families eighteenth-century sympathies. These probably belonged to Henry Jones IV, who was the president of the Gloucestershire Cycle Club, one of the oldest established Jacobite clubs. Other items of interest in the house include the Juxon Bible, which is said to have been used by the chaplain, Bishop Juxon, at the execution of Charles I. Juxon’s family lived locally in Long Compton until his family died out in the eighteenth century, when it is thought to have been given to John Jones II because the Jones’ were another family with Jacobite sympathies. In 1919 a number of significant tapestries were discovered at the house, and were interpreted as evidence for the establishment of a tapestry-weaving venture at the manor house of William Sheldon (d 1570) at Barcheston, near Shipston on Stour, Warwickshire. One of these tapestries is currently on display in the Middle Chamber, and another is in the permanent collection of the Victoria and Albert Museum. 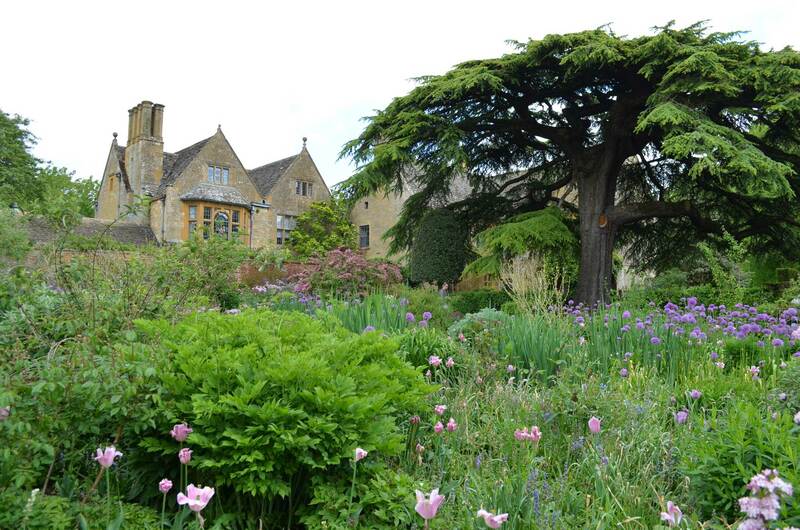 The Grade II listed garden at Chastleton has undergone a number of revisions since the completion of the house in 1612. There is no archaeological evidence of a garden on this site before this date: indeed, the North Garden is split by an old field boundary. At the time, the Forecourt at Chastleton described the entrance area below the House court (the area directly in front of the house). The House court was raised slightly above the forecourt by a small retaining wall, probably with a balustrade on top. There were likely to be few plants in the front of the house in the early 17th century, with the House Court possibly being paved or having two grass plats on each side of the central path like the Forecourt. To the east of this was the Pleasaunce or Pleasure Garden. This was the Best Garden, which was levelled, but with a viewing terrace along one side which also gave entrance to the church at the opposite end. The design of this garden is not known, but it was almost certainly surrounded by high walls with fruit trees trained against it. The Best Garden was laid out in the circular pattern we see today by Dorothy Whitmore Jones in 1833, although it is suggested that there were already box plants there. Beds were added within the circular hedge in the 1890s or 1900s and then grassed over again by 1972. During the periods of time when money came into the family the planting in this garden was always renewed. To the north are terraces, levelled from the sloping ground. There is evidence of a medieval cultivation terrace and the remnants of the old boundary wall of the garden. There was a Bowling Green on the Middle terrace and the third terrace may also have been the site of the original kitchen garden. The Kitchen Garden as it is now was enclosed in 1847 and was formed of the existent garden and from part of the adjoining field. It was laid out as four plots on one side of a broad path and two on the other side, and the kitchen garden today has been recently rejuvenated to form this pattern as well. Admission is by timed entry and tickets are sold on a first- come, first-served basis. Visitor numbers are limited to conserve the fragile nature of the house. Please note that at busy times entry cannot be guaranteed. The ticket office opens at 12.30pm. Last admission to the house is 1hr before closing. Why not visit Chastleton House and other pretty Cotswold villages on one of our driver-guide or cycling Tours of the Cotswolds?